What is so much about Kerala dams, you may ask. Kerala, a region with plenty of rainfall and rivers, relies on hydro electric projects for electricity. So we find plenty of dams throughout the state. Dams, usually in regions of hills and forests, are a natural fit for scenic tours. Is it right to write about dams without acknowledging the related issues as well? There are always differing opinions about stopping a naturally flowing river, and creating a vast bed of water. Destructions along the way are justified in terms of apparent benefits in multiple fronts. Apart from electricity generation, dams supply water for irrigation and drinking water. For example, Palakkad is dubbed as the Granary of Kerala for its top rice production. Where would Palakkad be today without the much needed water from Malampuzha dam? Nowadays much buzz is created around hydel tourism. The truth is that dams have been one of the earliest forms of tourism in Kerala, long before backwaters and waterfalls came to spot light. A shining example is again Malampuzha dam itself. It was one of the top picnic, day tour locations in Central Kerala, even in the seventies, my childhood days. My last visit there a few months ago, it was raining like hell, and still there were plenty of visitors. 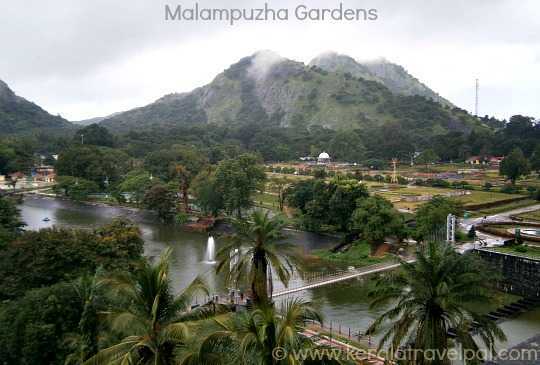 We left there convinced that Malampuzha is still an important tourist destination. May be people like it for the comprehensive experience centred on an extensive dam garden, ropeways, Snake Park, statues and boating. A natural fit for a family day out or school picnic. If we look at power production, Idukki district is the powerhouse of Kerala. There are several dams, and their combined production adds up to a significant whole. However, Idukki dam deserves a special mention. Idukki dam is more than a large concrete semi circle connecting two mountains. The first arch dam of India still remains as the largest of its kind in Asia. Panoramic views are outstanding. The reservoir extending over 60 sq kms amidst forests and hills has splendid lake like looks. Idukki Wildlife Sanctuary being at the banks, animal sighting is common. Thenmala, Peechi, Chimmony are just a few other dams in proximity to Wildlife Sanctuaries. Elephant herds, bison, deer and other animals frequent reservoirs for their drinking water. Scenic boat rides in reservoirs have a twist - spotting some wildlife. Mattuppetty dam visit is one of the popular activities of Munnar hill station holidays. Mattuppetty is a scenic delight, and so is the nearby Kundala, the tea garden precinct. Kundala dam may be comparatively small, but the beauty of the location is second to none. Dams in general are concrete structures. That is why earth dams stand out as a different breed of cat. The largest earth dam in India is Banasura Sagar, in North Kerala. Banasura Sagar Dam is one of the top tourist attractions of Wayanad district. Peringalkuthu, Sholayar, Peechi, Vazhani, Chimmony, Mattupetty, Kundala, Neyyar, Bhoothathankettu, Idukki, Malampuzha, Siruvani, Pothundi, thumpoormuzhi, Kakki, Thenmala, Mangalam, Walayar, Idamalayar, Mullapperiyar, Kakkayam, Peruvannamuzhi and Banasura Sagar. To the relief of every nature lover, the proposed projects for Silent Valley and Athirapally were turned down at higher levels of the government. These dams, if constructed, could have caused a great deal of destruction to evergreen rain forests, far outweighing apparent merits. 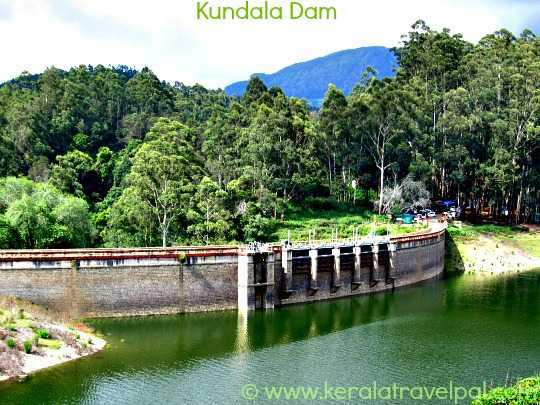 With so many dams, it is very likely that you may be seeing at least one dam in your visit to Kerala.